Last Sunday afternoon, that weekend, Attorney General Barr released his four-page summary/interpretation of the Mueller report. Trump and supporters prematurely have been football spiking and end-zone dancing ever since. You’d think Bob Mueller had nominated Donald for the Nobel Prize. In reality, Bill Barr has helped the president and his posse put a false narrative around the world before the truth can get its boots laced up, which will take several weeks, at least. According to Barr, the special counsel addressed three primary areas of consideration: collusion with Russians, Russian election interference, and obstruction of justice. Emphasis is mine. Let’s take these one at a time. If you believe Special Counsel Mueller on lack of criminal conspiracy, you must also believe that your president has been baldface lying to you that there was no Russian election interference. Remember, Donald not only called the investigation a “hoax,” he also called the U.S. intelligence community’s assessment of definite Russian election interference a “hoax,” countless times. If you relish Trump being cleared of criminal conspiracy, and you have any claim to critical thinking, you also must accept that he’s been lying to you about a national security issue of tectonic significance, to protect his ego and future business interests. He’s been doing Putin’s bidding. Though not technically a crime, it is certainly a betrayal to the country — and to you, his supporters. Sure, you wanted a president who would come in, blow up the place, and be rude to his opponents. Did you want someone who literally would jeopardize our nation’s safety and democracy for selfish financial gain? There’s a vote of confidence. Many legal experts have a major beef with this. First, they contend Barr’s letter was supposed to be a summary of Mueller’s opinions, not Barr’s. They contend Mueller did not intend for the Justice Department to offer an opinion on obstruction but rather intended for Congress to make the final determination. Second, these many legal experts point out that Barr has a far-outside-the-legal-mainstream view of presidential obstruction of justice. His view is that a president inherently cannot obstruct justice because they are the boss over everything in the executive branch, with the power to fire FBI directors, attorneys general, and anyone else for any reason he chooses, no matter how corrupt. 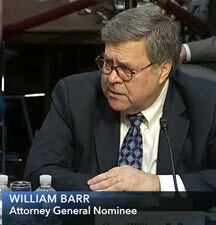 Furthermore, critics say Barr specifically was chosen by Trump to be attorney general based upon an unsolicited memo Barr wrote to the DOJ shortly after a special counsel was appointed in May 2017. Barr’s memo outlined his far-outside-the-legal-mainstream view, Trump saw it and loved it, then later chose Barr to be his man. The attorney general is saying since Trump is absolved of the underlying crime (conspiracy), he had no reason to obstruct, therefore, he likely is not guilty of obstruction. But U.S. legal experts have reminded us that the law clearly states obstruction does not require proof of an underlying crime. Moreover, the president had several other reasons — “corrupt intent” — to kill this investigation: 1) he never was sure Trump World collusion crimes didn’t rise to the level of indictability; 2) his ego could not withstand evidence that he had had illegal help — Russian interference — to win the election (even if he had not helped them); 3) protecting Russia and Putin from the stink of election interference promoted his business interests — we now know Donald was/is intent on building a Moscow Trump Tower and needs Putin’s blessing to do it; and 4) he still wanted to protect his crooked compatriots, e.g., Manafort, Flynn, et al, who did not have the presidential immunity that Trump has. Here’s the upshot. If Mueller did intend for Congress to be the final arbiter concerning the president’s obstruction of justice or absence of it, Barr’s opinion has created a false narrative around the issue that will be difficult to overcome if Barr is wrong. Trump World has been able to lie about these findings based upon Barr’s summary. Trump supporters and all casual news consumers already have been influenced falsely about these findings. Essentially, many people suspect Attorney General William Barr has shaded — intentionally disingenuously — his summary of the Mueller report to favor President Trump, his boss for whom he auditioned for the job. We’ll know for sure when we get the full report from the horse’s mouth. More than just “doesn’t rise to a crime,” Mueller said he found evidence of obstruction crimes, but he (so far, inexplicably) chose not to make a determination of indictable criminality. Again, many legal experts believe he was leaving this question up to Congress to answer, not Barr. Attorney General Barr has said his department is expecting to have “a version” of Mueller’s actual report available to Congress and the public within a matter of “weeks, not months.” Ostensibly, certain information will be redacted by law. The question is, What pertinent damning information might be redacted under the guise of law? For now, presidential impeachment is off the table, though Rep. Adam Schiff (D-Calif.), chair of the House Intelligence Committee, and committee member Rep. Eric Swalwell (D-Calif.) stand by their declarations that they’ve seen evidence of Trump-Russia collusion. Certainly, the obstruction charges remain open for congressional investigation, though the president has obfuscated them. But Trump’s obfuscation is business as usual, so it shouldn’t deter House Democrats from performing their constitutional duty of executive branch oversight. Remember, the president still doesn’t acknowledge there was Russian election interference. (Remember Helsinki.) This has seriously hindered our ability to rally resources and fight it in the future. This is a national security betrayal. George Conway has become well-known for being half of the most politically conflicted marriage in the country. He’s a Washington lawyer who has argued (and won) before the Supreme Court. He was a lifelong Republican who worked with Ann Coulter and Matt Drudge in trying to bring down President Bill Clinton (D-Ark. ), helping Paula Jones sue that commander in chief for sexual harassment. Conway supported President Trump early on. As of 2018, however, he’s a registered Independent and fierce Trump critic. He’s married to Kellyanne Conway, counselor (and junkyard guard dog) to the president. In short, Kellyanne is a rabid, no-concern-for-the-truth defender of all-things Trump. George has become Donald’s worst critically thoughtful nightmare. How can they stay together? What’s their secret? What are their reasons? Oh, to hear their pillow talk. “Whether the Mueller report ever sees the light of day, there is one charge that can be resolved now. 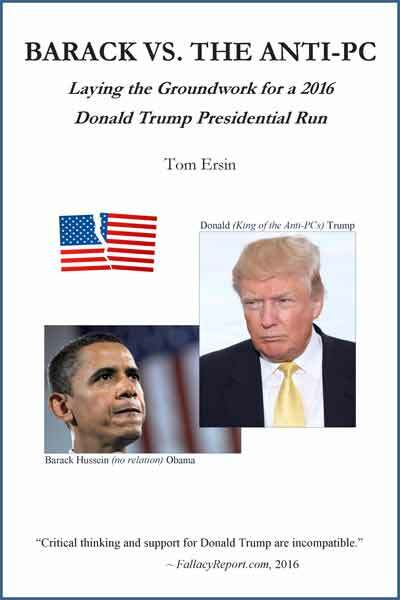 Americans should expect far more from a president than merely that he not be provably a criminal. … [His] oath requires putting the national interests above his personal interests. Yet virtually from the moment he took office, in his response to the Russia investigation, Trump has done precisely the opposite: [r]elentlessly attacked an attorney general, Mueller, [and] the Justice Department — including suggesting that his own deputy attorney general should go to jail; [l]ied, to the point that his own lawyers wouldn’t dare let him speak to Mueller, lest he commit a crime; [and b]een more concerned about touting his supposedly historic election victory than confronting an attack on our democracy by a hostile foreign power. Special Counsel Robert Muller did not investigate President Trump’s aggregate egregious behavior of favoring Russia and Putin since Inauguration Day. The reason for Donald’s persistent obsequious accommodation to a U.S. enemy (likely for financial gain and narcissistic comfort) is still an open question. Bob Mueller has shown, beyond a reasonable doubt, that Trump has lied continuously about the existence of Russian election interference and has fought all efforts to support and fund the fight against it, out of pure self-interest. The special counsel produced 37 indictments, including one conviction and multiple guilty pleas. He’s rid the swamp of many nasty creatures. Mueller has proved, in detail, that Russia illegally interfered in our 2016 presidential election (likely tipping it to Trump).